It’s been less than a month since my last “show and tell” blog post, but already there’s so much to share. Here are some of the finished projects that started life as yarn on our shelves! 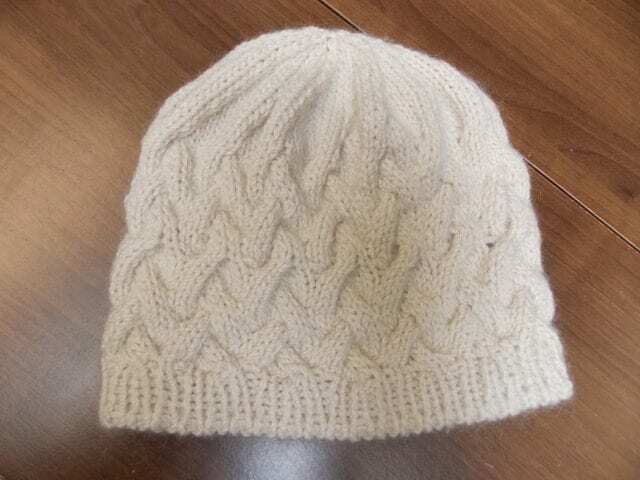 Above is the “Rise” hat, knit by Robin, who is teaching an upcoming class on the subject here at the shop. She made it with two yarns held together throughout: Shibui’s newest yarn, Drift, and their classic Silk Cloud. This pattern is free with the purchase of Shibui yarns for the project, and features cozy cables and a tidy tubular cast-on. 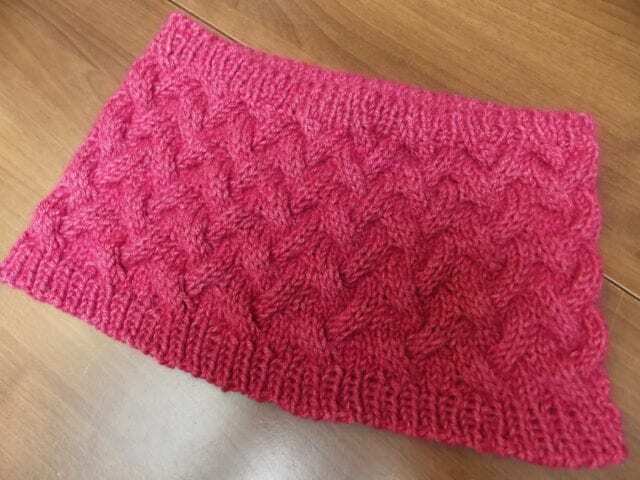 Below is Robin’s “Rise” cowl, knit with Fibre Company Canopy Worsted and Shibui Silk Cloud held together throughout, an equally luxurious yarn combination for the project. Sign up for the Rise Hat or Cowl class on our website! 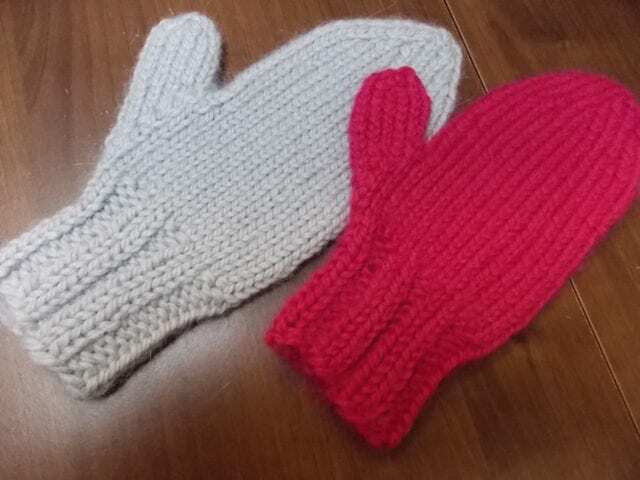 Here’s the subject of another upcoming class, Marsha’s “Super Fast Mittens,” a pattern she’s made available for sale here at the shop. 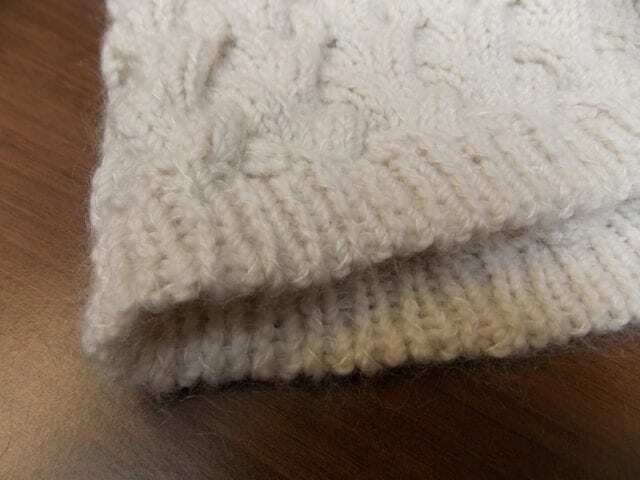 Made with Plymouth Baby Alpaca Grande, they’re quick and cozy, designed with ease of knitting in mind. 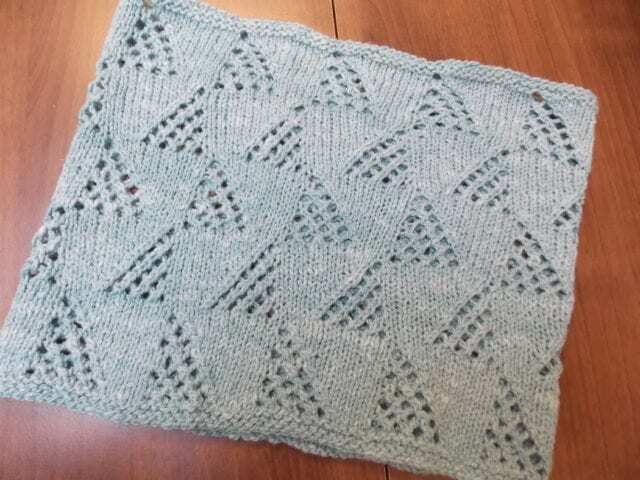 Join the class for an introduction to double-pointed needles! Peggy brought two finished accessories in for show and tell; above is her “Basket Whip” cowl, knit in the (sadly discontinued) Fibre Company Savannah, and below is her “Holden” shawl, knit in Geilsk Cotton/Wool. Both yarns are well-balanced blends of plant and animal fibers, lightweight from fibers like linen and cotton, but plush from merino wool. Ruth knit this “Rhys” scarf in Fibre Company Knightsbridge, a fuzzy heathered blend of llama, merino, and silk. It’s a handsome piece, decorated with cables and texture patterns, and the yarn is so well-suited to a next-to-skin accessory. Petra has been on a Steve Rousseau kick, knitting and crocheting several of his intricate shawls in a row. 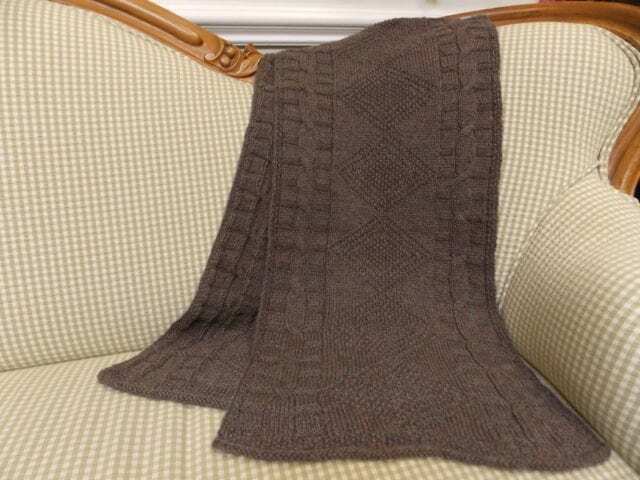 Her latest is this “Dimitri Rectangular Shawl,” knit in the lightweight, tweedy Shibui Pebble. Thanks to everyone who shares their creations with us, those who gamely submit to my photography as well as those who’d rather not. We love seeing what you’re working on, and the pleasure and satisfaction that you derive from your finished projects. See you at the shop! We don't have an online store for our yarns and accessories, but we're happy to take your order over the phone! Simply add your email below. You'll receive a confirmation email shortly. New marls in Brooklyn Tweed Shelter and Loft. The Weekender KAL: casting on. 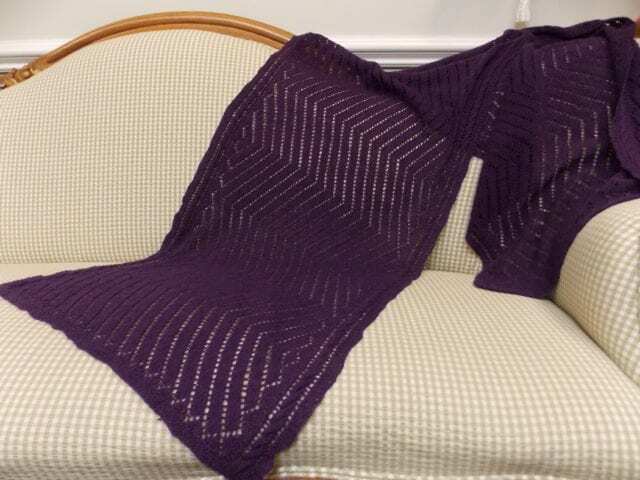 | Hillsborough Yarn Shop on The Weekender KAL: swatching. Alchemy kits. | Hillsborough Yarn Shop on Roadside Beanie kits. New marls in Brooklyn Tweed Shelter and Loft. | Hillsborough Yarn Shop on Hello, Brooklyn Tweed Shelter. Julia on The Weekender KAL: swatching.